Made with Enkei’s MAT technology, the PF01 is a light, racer-friendly wheel. Sized from 15” to 18”, with plenty of clearance for large brake calipers. The new PF01 is a high quality, very lightweight wheel offered at a competitive price. Utilizing Enkei’s MAT flow-forming technology, the PF01 is designed to be an ultra lightweight wheel. The PF01 is engineered to take Enkei’s light-weight racing wheel line to the next level. PF01’s split five-spoke design represents its lightness and sporty feel. The subtle edge on the sides of the spokes adds a unique dimensional accent to its design. 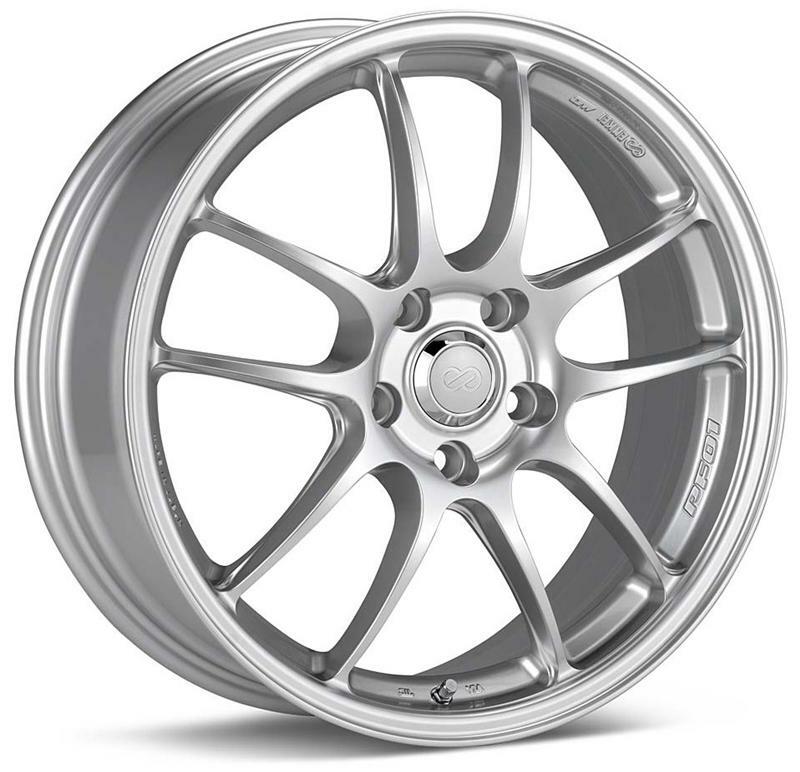 Responding to popular demand, the PF01 offers a wide variety of ap- plications including 15×8 and 18×10.5. This wheel also has a large brake caliper clearance to meet car enthusiasts’ needs. Our unique roulette pattern is grooved on the rim to reduce the slippage ratio between tire and rim. The roulette-pattern maintains the best condi- tion of the wheel and tire assembly, thus achieving the highest perfor- mance during extreme acceleration and deceleration. The roulette pattern is also used for McLaren Mercedes Formula One racing wheels.